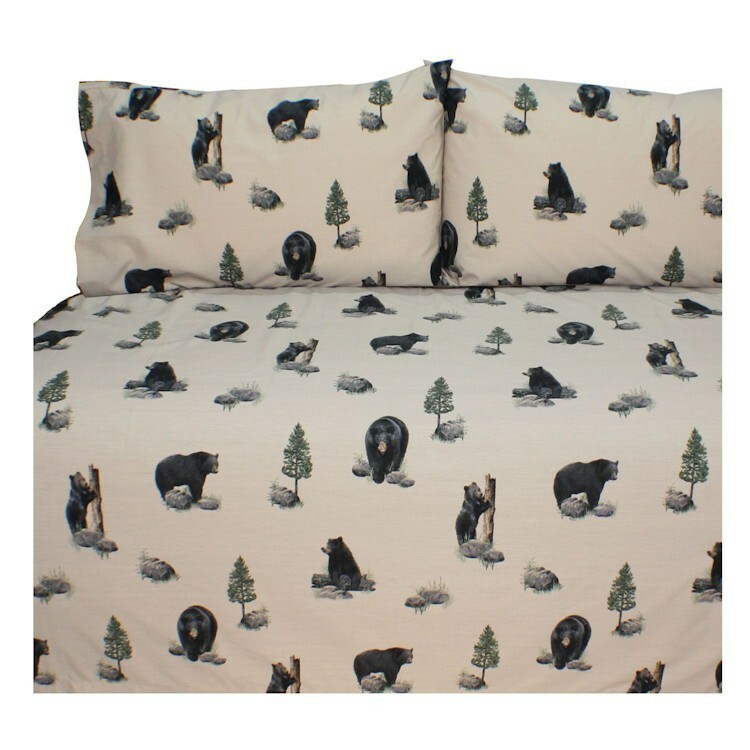 fits mattresses 39" x 75"
fits mattresses 54" x 75"
fits mattresses 78" x 80"
These rustic bear sheets are 180 count cotton/polyester and feature images of black bears and pine trees on an off white background. Made in the USA. These rustic bear sheets are 180 count cotton/polyester and feature images of black bears and pine trees on an off white background. This Sheet set Fits mattresses up to 13" deep. Made in the USA.